You are cordially invited to the second Vice-Chancellor’s Inaugural Lecture of the year, which is scheduled to be presented by IP Unit’s member Professor Caroline Ncube. The lecture is titled “The public interest in intellectual property law: African solutions to global challenges”. Professor Ncube has served as deputy dean of postgraduate studies and head of the Department of Commercial Law at the University of Cape Town’s Faculty of Law. She is a fellow of the Cambridge Commonwealth Society and a Shell Centenary Scholarship Fund scholar. 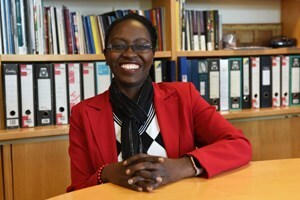 She is an associate member of the Centre for Law, Technology and Society at the University of Ottawa and a co-leader of the Open African Innovation Research Partnership. Professor Ncube is a National Research Foundation-rated researcher who has authored more than 70 articles, conference papers and book chapters. She is the author of Intellectual Property Policy, Law and Administration in Africa: Exploring continental and sub-regional co-operation and co-editor of Indigenous Knowledge and Intellectual Property. She co-edits the South African Intellectual Property Law Journal and serves on the editorial boards of several other journals. Society seeks access to knowledge, medicines and culture. How can intellectual property (IP) laws secure such access while protecting private property rights? Professor Ncube will discuss options for crafting laws that comply with international norms yet are responsive to Africa’s developmental context and support economic growth in the formal and informal sectors. She will also discuss her work and some recent research projects that seek to understand these IP policy and law options in the African context by carrying out case studies. For enquiries, please email or phone 021 650 4847/3730.